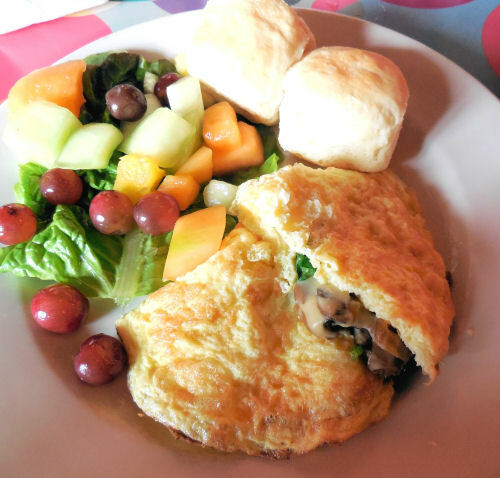 This mushroom and caramelized onion omelette makes a great breakfast or brunch treat. 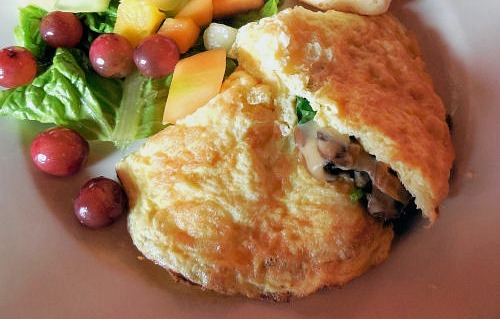 The tender omelette is stuffed with mushrooms and caramelized onions as well as cream and Havarti cheese. I have slimmed down the recipe by using egg whites in place of one egg. If you want a more hearty omelette, four eggs could be used, instead. The recipe comes together in parts. 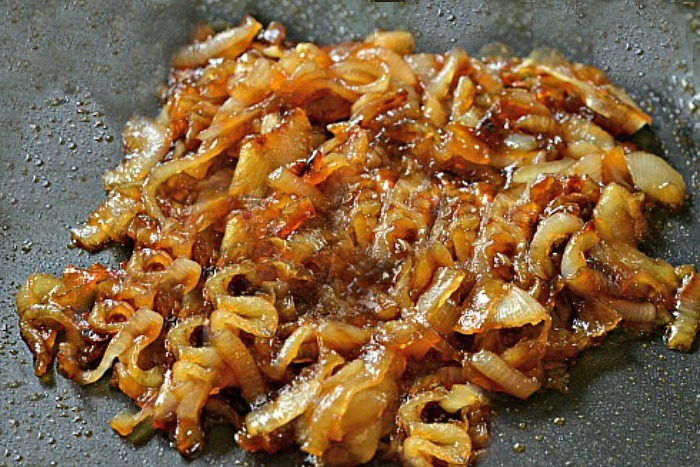 First you caramelize the onions and set them aside. Next cook the mushrooms until they are well browned. Now cook your egg white mixture and add the mushrooms, onions and chives over half the eggs. Fold and serve with fresh fruit and biscuits for a satisfying start to your day. Caramelized onions and mushrooms give this omelette a rich and earthy taste. In a nonstick fry pan over medium-high heat, warm 1 Tbsp. of the olive oil. Add the onion and cook, stirring occasionally, until caramelized, about 20 minutes, adding 1/4 cup water when the onions start to darken. Add another 1 Tbsp. of the olive oil to the pan. 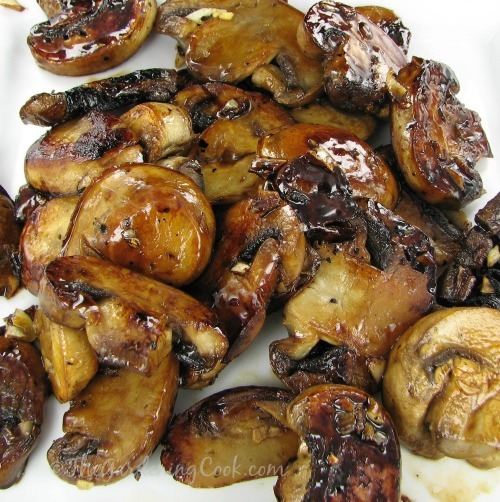 When it is hot, add the mushrooms and season with sea salt and black pepper. Cook, stirring occasionally, until the mushrooms are well browned, about 7 minutes. Transfer to a bowl and wipe out the pan. In a bowl, whisk together the egg whites with the remaining 2 Tbs. water and the fresh chives; season with sea salt and pepper. Warm the remaining 1 tbsp. olive oil in the pan over medium heat. Cook until the eggs are just set, about 1 minute. Fold the unfilled half over the filled half. Slide the omelette onto a plate and keep warm while making a second omelette. Serves 2.